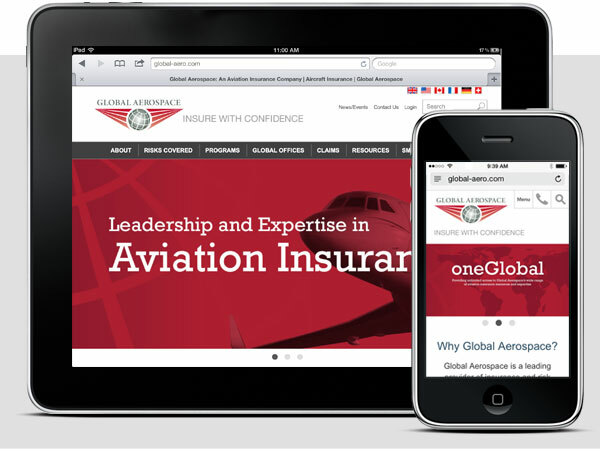 Global Aerospace, an international provider of aerospace insurance, has just launched a new expanded corporate website. TCA helped Global Aerospace expand and re-design its website to provide its customers and the broker community with easier access from a desktop or mobile device to resources, information and worldwide contacts. The site communicates the breadth of Global Aerospace’s aviation insurance services as well as the financial strength of the company’s insurance pool members. It also provides convenient tools for locating Global Aerospace representatives around the world, as well as simple ways to find forms and documents. Next Post: Looking to Build Awareness? Find a Wave to Ride.